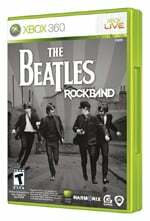 The highly anticipated new Rock Band title, The Beatles: Rock Band went on sale today, featuring 45 classic songs and replicas of the legendary band members' instruments. Additional music from The Beatles’ catalogue will be made available for purchase and download through The Beatles: Rock Band Music Store, inlcuding Abbey Road (next month), Sgt. Pepper’s Lonely Hearts Club Band (in November) and Rubber Soul (in December). The basic idea: In The Beatles: Rock Band you use Hofner bass, drum and microphone controllers to “play” along with your favorite Beatles tunes.The goal is to work your controller in time with the audio and visual cues on the screen. Strike the right notes and the crowd will cheer. Make too many flubs and you’ll be booed off the stage. Who it’s for: Take the appeal of Rock Band, add The Beatles tunes and you’ve got what may be the most universally appealing game ever made. It can accommodate up to six players of any skill level. A very welcome “no fail” mode lets players continue playing even if they’re not very good (think cocktail party guests). The game is rated “T” for Teen for “Mild Lyrics” and “Tobacco Reference” by the ESRB. The Details: If you find karaoke the least bit entertaining, The Beatles: Rock Band will rock your world. With one game -- and some cool accessories -- your Xbox, PlayStation, or Wii becomes a full rock ’n roll setup. Almost no musical talent is required -- the game is mostly about rhythm. The guitar has no strings -- you “play” it by hitting the colored buttons on the neck when directed. The drum kit looks a bit like a drum kit, and you hit the colored discs with sticks -- so if you played it enough you might actually pick up some minimal skills on the traps. Singing is judged on pitch, so if your voice is a true monotone you might opt not to sing lead vocals. In The Beatles, you’re further challenged to master three-part harmony. Although the game is a fun and social group activity, it has a more serious “story” mode, in which you progress through The Beatles’ career. The Bottom Line: We highly recommend this game. Rock Band is fun to play, yes, but it can also unite friends and families in a genuinely social way. If you already have Rock Band, the software alone costs $60. A Limited Edition Premium Bundle for $250 includes the software, a Hofner Bass controller, Ludwig-branded Rock Band 2 drums and microphone with stand.